The trends seen here are forecasted for S/S 17. 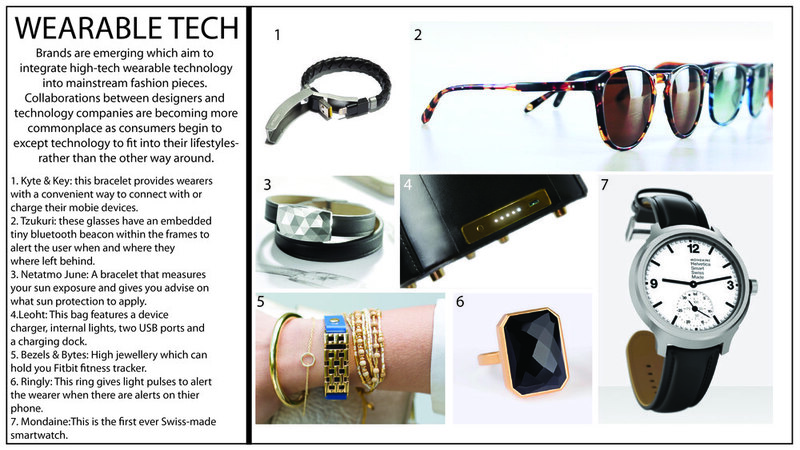 Overall the biggest innovation in accessories is to integrate high-tech wearable technology into mainstream fashion. Consumers have begun to except this when looking to buy accessories. The other categories to focus on are backpacks, sunglasses, watches, and jewelry.